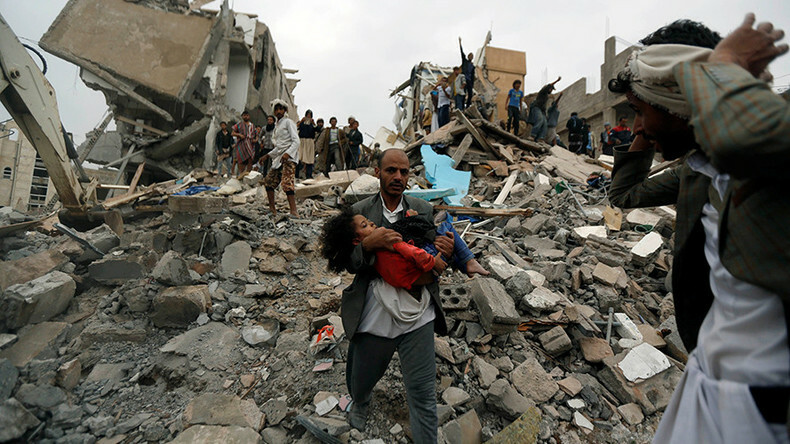 Airstrikes, apparently conducted by the Saudi-led coalition in Yemen, have killed up to 14 civilians, including six children, witnesses on the ground report. The attack targeted the Faj Attan area on the southern outskirts of Sanaa and also reduced two buildings to rubble, Reuters cites local sources as saying. The bodies of several children, who appear to be as young as 10, have been recovered by rescuers, the agency said. According to AP, eyewitnesses say that at least 14 civilians were killed in the early morning airstrikes, and the death toll is expected to rise as rescuers pull more victims from the rubble. The news comes two days after a Saudi bombing killed dozens of people, most of them civilians, in a Sanaa hotel reportedly located next to a rebel checkpoint. The Wednesday attack was condemned by the Office of the UN High Commissioner for Human Rights, which said the Saudi-led coalition was responsible for protecting civilians in Yemen. The UN reportedly plans to blacklist Saudi Arabia as a nation involved in violation of children’s rights for the high death toll its campaign takes on the minors in Yemen. A UN report leaked to the media last week said half of children casualties in the country were caused by the coalition airstrikes. The UN tried to brand Riyadh as a violator of children’s rights last year, but infamously backed off after the Saudis threatened to cut funding of UN’s aid programs. 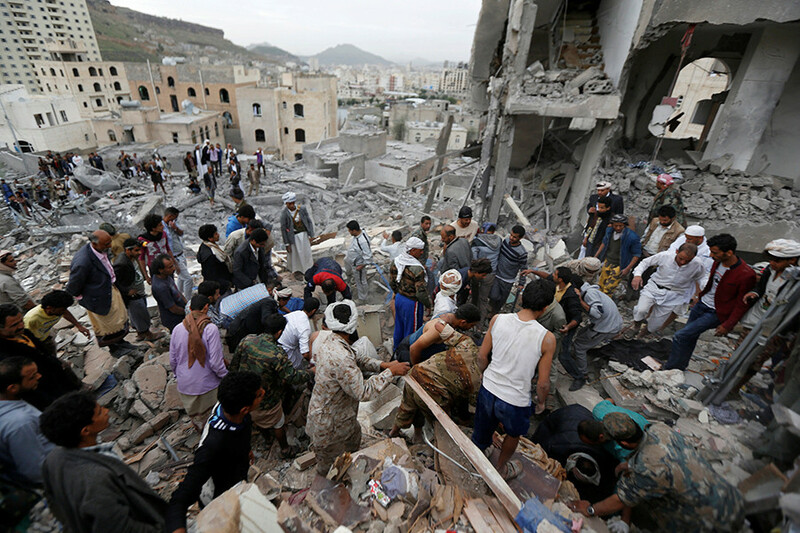 However, the leak of the report indicates that the scale of atrocities being committed in Yemen is too high to turn a blind eye, even with Saudi Arabia lobbing for it, believes Catherine Shakdam, writer and Middle East commentator. “Saudi Arabia’s abuses in Yemen are not a figment of anyone’s imagination; they are a fact – a reality that if not addressed will allow for the genocide of a people. 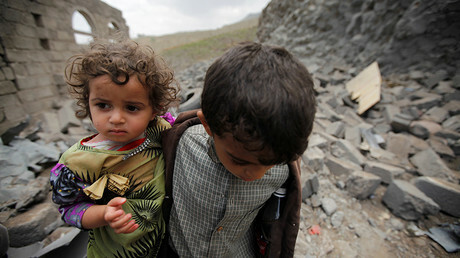 Yemen’s war proper has long gone beyond the political or the geopolitical,” she told RT. Saudi Arabia and its allies have been waging a war against Shiite rebels in Yemen, in an attempt to put the ousted Yemeni president back in power. The campaign and Saudi-imposed blockade of the impoverished nation have contributed to a humanitarian crisis in Yemen, including a major outbreak of cholera and continued malnutrition of the population, rights organizations say. Major Western powers, inducing the US and Britain, have been contributing to the Saudi war effort by selling Riyadh weapons and providing the coalition air missions with refueling and targeting intelligence.